I loved this year’s Oscars! They were the best yet, but you know The Savoie Daily was mainly focused on the Oscars red carpet. I thought that this year’s red carpet was great! Now lets get into it! First we have the Sinful Scarlets. Red was a dominant color on the carpet. Why not match the carpet you are walking on? Ha! But all sillies aside, the scarlet beauties were a site to be seen. Breaking up the grey a bit, we have Dakota Johnson in a luxurious Saint Laurent; Rosamund Pike in a custom Givenchy, that would make any cheating husband jealous; and Behati Prinsloo in Armani Privé. Next we have the Pearly Whites. Another dominant color was white! I don’t know why I just think white is such a great refresher for the Oscars red carpet. You can never go wrong in white! Lets take a look at these beauties! 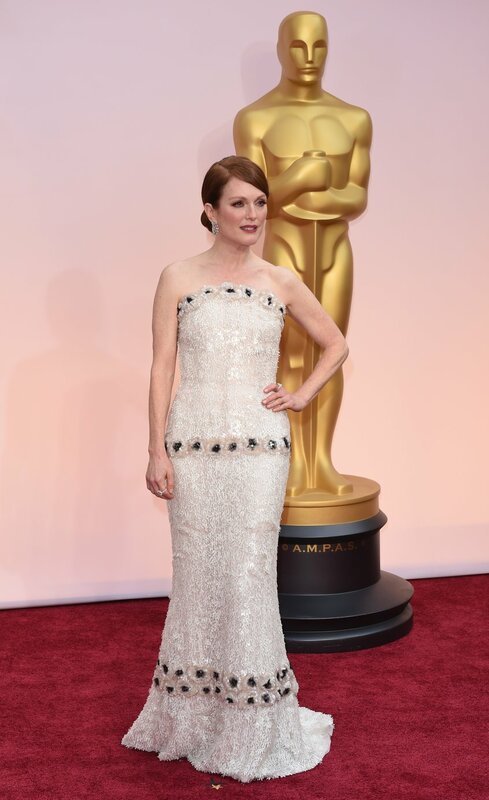 Julianne Moore in Chanel (BTW as I was writing this, won best actress for Still Alice) that features more than 80,000 hand-painted paillettes; Lupita Nyong’o in a pearl ensemble by Calvin Kline Collection; and Lady Gaga in custom Azzedine Alaïa that as Vogue states “took twenty-five people two weeks to create” Crazy! I can only imagine what she will wear on her wedding day. My Final Trend is the Black Widows. I am very partial to black, so when I saw this trend take over the Oscars red carpet I was excited (I am now going to wear black tomorrow!). Margot Robbie in a black Saint Laurent dress that looked so effortless and classic; Cate Blanchett in a simple Maison Margiela grown paired with an extraordinary statement Tiffany & Co. turquoise necklace; and of course, the talented Meryl Streep in Lanvin. Aren’t these ladies lovely?! I was very pleased with the carpet this year! This was a lot better than the Golden Globes (thank god). 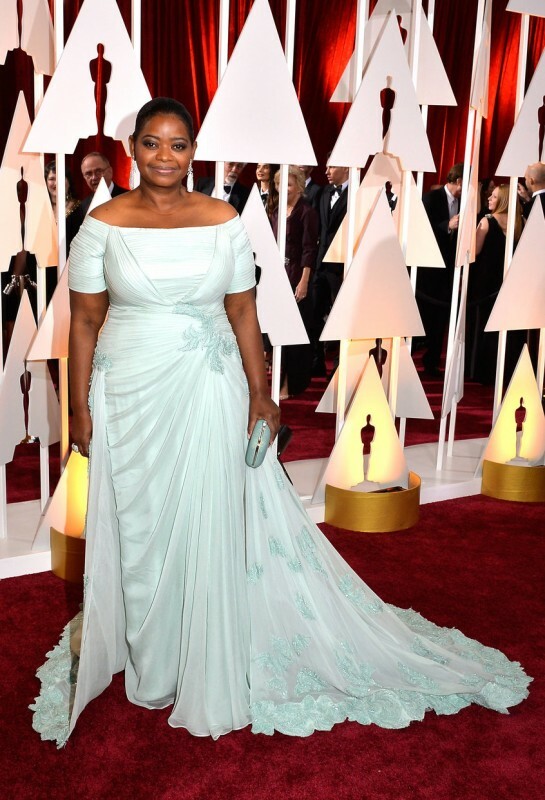 Now lets take a look at some others, who stunned on the Oscars red carpet. Weren’t those stunning! I was very pleased with what this years Oscars red carpet had to offer. I hope you enjoyed it too. Let me know what your favorite look was in the comment section below this post! Another year down. Congratulations to all those that were nominated and to those who won. See you next year Oscars!